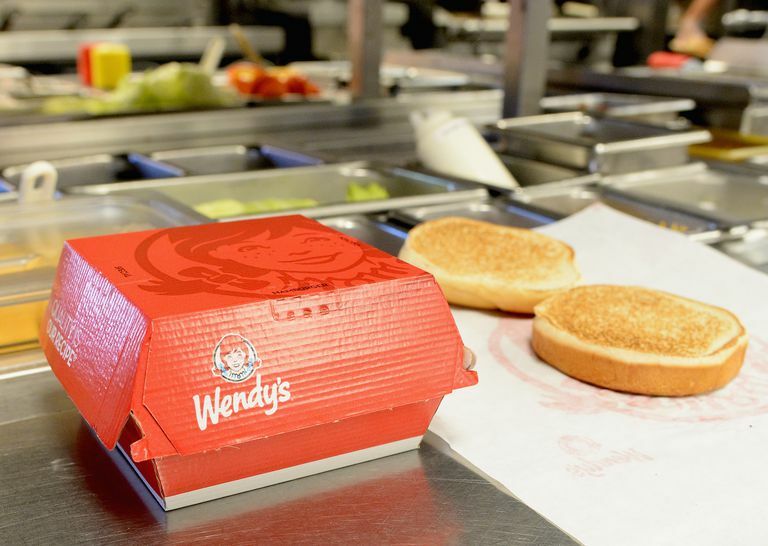 If you're looking for diet-friendly fast food, you might want to head to Wendy's. This burger chain has dozens of options that will help you stick to your eating plan. Wendy's chili calories, for example, are fairly low and the popular Wendy's baked potato calories are minimal as well as long as you keep the toppings in check. You can even enjoy a chocolate or vanilla Frosty with your meal and walk away without guilt. But you have to know what to order and what to avoid. One of the reasons that the Wendy's menu is great for dieters and healthy eaters is that they provide so many choices. For example, many of their salads come in both full and half sizes. The Power Mediterranean Chicken Salad provides 450 calories. But you can order a half size of that same salad for just 240 calories along with a Jr. Chocolate Classic Frosty and keep your entire meal under 500 calories. You'll also find many different types of food on the Wendy's menu. A large order of Rich and Meaty Chili has 250 calories. The small size of Wendy's chili provides just 170 calories (see label) along with a healthy dose of fiber and protein. A Junior Hamburger has only 240 calories and if you add cheese, the number only goes up to 280 calories. You'll also find both chicken and fish choices on the Wendy's menu. But these aren't necessarily the best choices if you're trying to keep your calorie and fat intake low. Many of the sandwiches and nuggets are fried so their calorie and fat content is high. But the Grilled Chicken Wrap is a good option for dieters with just 270 calories and 11 grams of fat. Wendy's baked potato, chili, and the classic Frosty are extremely popular menu choices. The Wendy's Sour Cream and Chive Baked Potato contains only 310 calories and 2.5 grams of fat. This is a high carbohydrate food, however. You'll consume 63 grams of carbs when you indulge in this tater treat. Wendy's Frosties vary in calorie and fat content because they come in several different sizes. Your best bet is to choose a Jr. Classic Chocolate Frosty that provides only 200 calories and 5 grams of fat. Even though the chili is popular, there are many different ways to create a diet-friendly meal and keep your daily calorie count in control. Use these meal combinations to satisfy your fast food cravings and keep your total count under 500 calories. If you don't see a meal option that you like, keep in mind that you can customize your order to get what you want. There are several different bun choices, meat choices, and topping choices available so you can get create a sandwich and a meal that curbs your hunger and helps you keep your diet on track. Just like any fast food joint, the menu includes very high-calorie burger options. The Dave's Triple cheeseburger provides over 1000 calories and 72 grams of fat. Yikes. The Baconator provides 970 calories and 62 grams of fat. And if you pair your bacon burger with Baconator fries, you'll need to add another 490 calories and 28 grams of fat. And as you might expect, a large Wendy's Frosty is fairly high in calories. If you choose a large Chocolate Classic Frosty, you'll consume 580 calories, 15 grams of fat and a whopping 79 grams of sugar. Download the Wendy's app onto your smartphone. You can enter your calorie goal into the app and then choose from complete meal suggestions that it provides. If you decide what to eat before you head into the restaurant, you'll be more likely to keep your Wendy's meal healthy and low in calories.